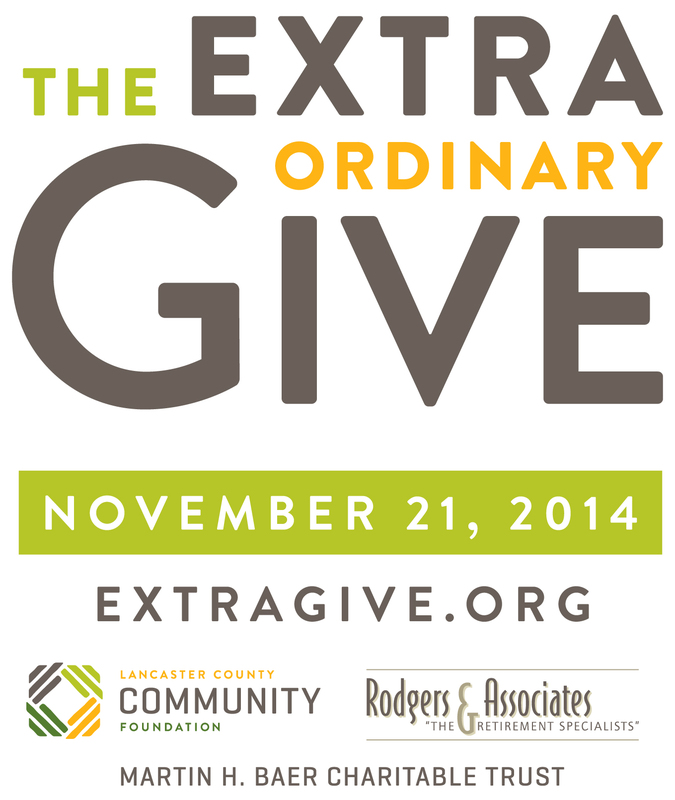 Penn Manor Education Foundation is again participating in the ExtraOrdinary Give, a 24-hour online fund-raising event for local nonprofits. If you would like to contribute, please go to the extragive.org website at any time on Nov. 20 and click on the PMEF link. Last year, many generous donors participated in the ExtraGive, providing $5,100 to the Foundation. Gifts of all sizes are welcome. A gift of $25 can purchase library materials to excite young learners and support curricular goals. A gift of $100 can buy a starter musical instrument to allow a disadvantaged student to learn to play and join the school band. A $500 gift can fund a scholarship for a graduating Penn Manor High School student. PMAA and PMEF thanks you for your support! Mark your calendars for Friday, October 9, 2015 to attend the Penn Manor Homecoming football game at 7:00 pm at Biemesderfer Stadium where our Comets will take on McCaskey. Stop by the alumni tent inside the stadium where the first 150 alums will receive a free gift! There will be small PM footballs and face tattoos for children of alumni. Be sure to sign up for the raffles for cash and gift cards for alumni. If you haven’t joined the Penn Manor Alumni Association yet, what are you waiting for?! This year the men’s alumni soccer game is scheduled for Saturday, August 1st, 2015. The teams will be picked between 5:15- 5:30 pm. (odd years VS even years). The game will start at 6:00 p.m. at Comet Field. Bring two shirts (blue and white). Post game festivities to be announced on game day. Four outstanding Penn Manor High School graduates were inducted Saturday into the Distinguished Alumni Wall of Honor Saturday during the Alumni Banquet in the high school cafeteria. Also honored at the banquet were members of the health care profession. The 2015 Distinguished Alumni are Kenneth Hackman, Class of 1955; Coleen Ortman Kayden, Class of 1973; Tracy Goodman, Class of 1988; and Jennifer Sorensen, Class of 1992. Jennifer and Coleen were unable to attend. Coleen was represented by her sister, Julie Ortmann Waltman, a 1977 Penn Manor graduate. He hoped one day to become a professional photographer. Sometimes dreams do come true! Last year Ken was awarded the prestigious Joseph A. Sprague Memorial Award by the National Press Photographers Association for his military photojournalism. Ken enlisted in the U.S. Air Force out of high school in 1955. When his enlistment ended in 1960, he became an Air Force civil service photographer for the next three decades, documenting military action around the globe. During his career, he photographed the Vietnam War, one of the last atomic bomb detonations off Christmas Island in the South Pacific, eight Olympic Games and Bob Hope’s USO tours. He also was the official photographer for Air Force One for 25 years. Ken founded the Air Force’s photojournalism training program at Syracuse University in 1971 and headed the program until his retirement in 1995. Ken currently lives in Studio City, California. Coleen Ortmann Kayden (’73) Coleen was very active in high school, playing field hockey and basketball and clarinet in the band for all four years. She also participated in many other school clubs and activities. Coleen graduated from Philadelphia College of Pharmacy. She is a past president of the Pennsylvania Pharmacists Association, past chairperson of the Lancaster Community Plan board of directors, and a founding board member of Linking Pharmacists to Improved Health Outcomes. In 2010, Coleen was named the 56th recipient of the Annual Alumni Award from Philadelphia College of Pharmacy. She has stayed local, living in Conestoga and working at Williams Apothecary and consulting for several long-term care facilities in Lancaster County. She graduated from Georgetown University Law Center and dedicated her legal career to serving families and children. Tracy got her wish to travel when she worked in Sao Paulo, Brazil, for Microsoft as a piracy investigator and later for the American Center for International Labor Solidarity. She speaks Spanish and Portuguese. Returning to the United States in 2002, she joined the staff of the Children’s Law Center in Washington, D.C., where she is currently the Director of Healthy Together. Tracy lives in Washington, D.C., with her husband and three children. Jen attended the University of Virginia, studying cultural anthropology. She drew cartoons for college publications. In 2014, she won the Herblock Prize for excellence in editorial cartooning, becoming the first woman to receive the prize. Her editorial cartoons appear in 20 alternative newspapers and have appeared in a number of national publications. Jen was a previous recipient of the 2013 Robert F. Kennedy Journalism Award and the 2013 National Cartoonists Society Award for Editorial Cartoonists. Jen and her husband live in Austin, Texas. Pictured from left – Julie Ortmann Waltman (accepting for her sister Coleen), Ken Hackman, Tracy Goodman. This year’s alumni banquet will feature a salute to all Penn Manor alumni who pursued a career in the field of healthcare. We will also be inducting the following alumni into the Distinguished Alumni Wall of Honor – Kenneth Hackman, Colleen Ortmann Kayden, Tracy Goodman and Jennifer Sorensen. Reservations are needed to attend the banquet and must be received no later than April 1. When: Saturday, April 18, 2015 at 5:00 p.m.
Penn Manor Education Foundation is again participating in the ExtraOrdinary Give, a 24-hour online fund-raising event for local non-profits. 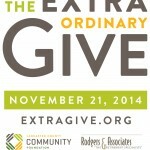 If you would like to contribute, please go to the extragive.org website at any time on Nov. 21 and click on the PMEF link. Last year, 40 generous donors participated in the ExtraGive, providing $3,500 to the Foundation. Gifts large and small are welcome. A gift of $25 can purchase library materials to excite young learners and support curricular goals. A gift of $100 can buy a starter musical instrument to allow a disadvantaged student to begin to learn to play and join the school band. A $500 gift can fund a scholarship for a graduating Penn Manor High School student. Nominations for the Distinguished Wall of Honor are currently being accepted. This award is designed to honor and perpetuate the memory of those individuals who have brought recognition, honor, distinction, and excellence to the Penn Manor School District through his/her postgraduate accomplishments. The successful candidates will be inducted at the spring Penn Manor alumni banquet in April, 2015. If you know of a deserving individual, please fill out a nomination form (below) and return it by November 1, 2014 to Penn Manor High School, Attn: Dr. Philip Gale, Principal, P.O. Box 1001, Millersville, PA 17551. Check out the list of past honorees from 1970 to 2013. Don’t forgot to visit the alumni tent! Free t-shirts to the first 125 alumni! Sign up for raffle prizes! If you are a Penn Manor alumni and you don’t below to the Penn Manor Alumni Association, join us at the tent and get in on the fun! This year the men’s alumni soccer game is scheduled for Sat. August 10, 2013. The teams will be picked between 5:15- 5:30 pm. (odd years VS even years). The game will start at 6:00 pm at Comet Field. Players planning to attend please RSV by contacting Ryan Butzer at 717-615-7140 or Jim Frantz at 717-413-7691 (goldilocks22@msn.com). Comments, concerns, and questions are welcome. Bring two shirts (blue and white). Post game festivities to be announced on game day. Congratulations to the Class of 2014! You are now officially Penn Manor Alumni. We are requesting your help in gathering feedback for our high school administration regarding your personal high school experience, so please visit this link for the Class of 2014 PMAA Survey. Your feedback will be extremely valuable in evaluating Penn Manor’s present curriculum and other educational opportunities.